Nokia Lumia 900 to drop to $49.99 starting Sunday? With a recent report showing that combined, only 330,000 Nokia Lumia units have been sold in the U.S., it seemed that time was running out for the recent series of Lumia phones in the States. As we've told you numerous times in the last few weeks, no existing Windows Phone model is getting updated when the new Windows Phone 8 OS launches. That thought led RDC Capital Analyst Mike Sue to contemplate an upcoming write down of billions of dollars of Nokia Lumia handsets as soon as the third quarter to help the Finnish manufacturer clear the decks before Windows Phone 8 appears. It seems that AT&T might also be feeling the same pressure with the Nokia Lumia line. As the exclusive U.S. retailer of the Windows Phone flagship device, AT&T needs to do something to light a fire under sales. According to an employee at AT&T, it has decided to slice the price of the Nokia Lumia 900 in half to $49.99 on contract starting Sunday. This bit of speculation was said to be confirmed by another AT&T employee higher up on the ladder. As we mentioned to you on Thursday, the Nokia Lumia 900 has dropped back to number three on Amazon's list of its best selling AT&T handsets, which would seemingly indicate a loss of momentum in sales for the phone. Along with the reduced pricing, AT&T stores will continue to throw in $50 of free accessories with the purchase of the phone. Besides the speculation of a price cut coming to the Nokia Lumia 900 on Sunday, the day is also supposed to bring with it the launch of a new pink model of the device for AT&T. 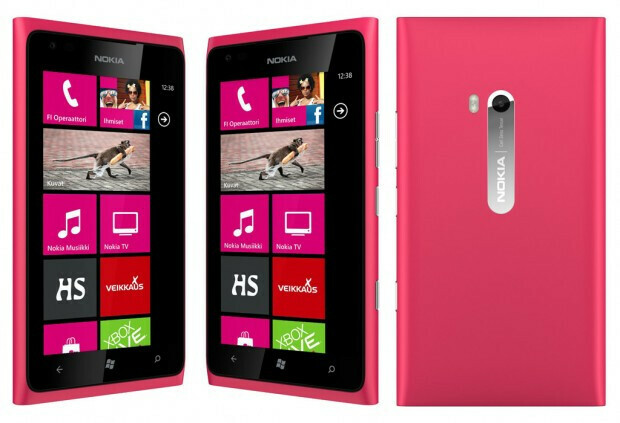 While the new pink model could help generate some higher sales of the Nokia Lumia 900 to women, if there is a huge pick up in orders we would suggest that the price cut is more responsible than anything else. Seriously, because of a wrong naming of the update for WP7.5 mango(WP7.8), lumia 900 will be hard to sell. If they have just named it WP8 refresh/lite, this could have save the flagship phone. Telling everyone that CURRENT WPs WON'T GET THE WP8 is like telling everyone not to get the current phones. Biggest mistake microsoft. I hope this promo will still boost the sales of lumia 900 given the fact that most people don't really have enough knowledge about the specifications. Wouldn't be hard to sell if on tmo, which this magenta color is meant for. Yet Nokia Continues this ATT exclusive sherade. You know tmo, they usually take the left overs. They need to get their best known product to all. ATT alone ain't gonna boost any sales. Stupid! nokia has always played it like this they only really put their good phones on maybe one carrier and then whine and complain about how difficult the american smartphone market is i don't remember ever seeing a decent nokia on sprint or verizon, i mean, if they ignore half of america's mobile market, what are they expecting? "...if they ignore half of america's mobile market, what are they expecting?" Sounds like a self-inflicted wound. Magic 8 Ball says a BOGO for $0.01 is in the near future. 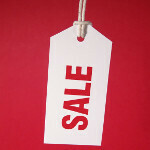 If Nokia can't sale phones it is time to sale the whole company or switch Android because only a few will buy WP phones. you're not seeing WP in a bigger picture. It has so much potential, for consumers and developers. Some have already been shown at e3, surface unveiling, and MS's developer conference. Ok Nokia just partnered with MS less than two years and a year later produced three WP models in less than one year. Now that's without R&D to produce their own skin. Also MS paid Nokia 1$ billion in aid. Now lets change to Android. How much will Nokia have to put in for R&D and for how long just to produce their skin on Android. How about financial aid. Google? Good luck friend. There's a wild Android forest out there. Can't just walk through it easily. Take look at Sony, LG, and especially HTC. Their not doing so hot as they should be. Another thing I believe why Android sells is not because of the OS. Its the ratio of WP to Android, 1:5 or more. For every one WP in a store, there's 5 or more Androids. that's why I believe WP recognition is so low and sales are stale. There's not enough WP out there. Don't think for one bit WP doesn't sell well. There just not enough of it out there. When Android was only the Droid 1, Eris and the G1....Android picked up alot more momentum in a year than WP. WP launched with more phones than Android did. When Android started....RIM and the old Win Mo outnumbered them. Look at where Android started....and look at the bigger picture. But look now and not then. Truth is you still have 1:5 ratio. And Android has already established itself. Once the masses know and see more WP, the momentum maybe different now. At $49.99 or $0.01, nobody is going to buy this phone. Why did MS and Nokia even put it out to begin with when they knew WP8 would be out in the fall and that this phone wouldn't be upgraded. One of the worse business decisions I have ever seen made. They might as well dump all of the Lumia phones in the ocean. MS hasn't exactly made the best set of decisions along the path of their entry into the smartphone market. Expecting Elop to rise above the previous fumbling experience was probably too much. He certainly hasn't demonstrated a grasp of the issues facing a company that has to re-invent itself. Having no hardware migration path from WP7 to 8 has to be the high water mark for either arrogance or stupidity. Not even Apple gives their customers that kind of middle-fingered wave. I saw a Nokia Symbian Belle phone today, at a shop. I can't remember the name. It had 1 GHz and a 5 mpx cam. Cost around HTC Wilddire S. The build quality was astounding for the price. It upscales all other higher priced phones, excluding iPhone 4S and HTC One X. In terms of build quality that is. It felt so good to hold. Too bad Symbian isn't developed properly. Must be the new Nokia 603http://www.phonearena.com/phones/Nokia-603_id6491 The Nokia 603 is a Symbian Belle smartphone with a 1GHz ARM 11 processor, 512MB of RAM, 5-megapixel camera, 3.5-inch capacitive display, Wi-Fi, aGPS, multiples sensors Bluetooth and NFC. Don't forget to check out its older brother, the Nokia 701. For just a little bit more, you can have 1.3GHz and a front facing camera to do native 3G video calls. Found it. Its the Nokia 700. Here's the review by PAhttp://www.phonearena.com/reviews/Nokia-700-Review_id2919 Damn fine build quality. It seems to have so many customization options like Android including a task bar (notification bar). Too bad it doesn't have front cam. I read PA's review. It really does seem to have the potential for being the 3rd mainstream OS. If only Belle had come before Android 2.2.